Charles Wykoff, MD, PhD, graduated Phi Beta Kappa from MIT, received his PhD from Oxford University in England while on a Marshall Scholarship, and his MD from Harvard Medical School. As a medical student he co-authored the book Fighting Global Blindness. While pursuing vitreoretinal training at Bascom Palmer Eye Institute he was awarded a Heed Fellowship, the Ronald G. Michels Fellowship Award, and served as Chief Resident/Co-Director of Ocular Trauma. Dr. Wykoff has extensive expertise in clinical trial design and coordination. His research interests pertain to angiogenesis and retinal vascular diseases including age-related macular degeneration, diabetic retinopathy, and venous occlusive diseases, as well as vitreoretinal surgery topics such as retinal detachment and macular surgery. Dr. Wykoff has written and published over 120 peer-reviewed scientific manuscripts, book chapters, national meeting presentations and abstracts. Dr. Wykoff is Director of the Retina Consultants of Houston and Houston Methodist Hospital joint Argus II retinal prosthetic program – the only Gulf Coast site approved for surgical implantation of this unique technology for patients blind from retinitis pigmentosa. 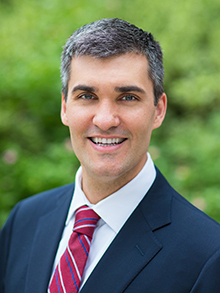 Dr. Wykoff is Co-Director of the Greater Houston Retina Research Foundation, was awarded the American Academy of Ophthalmology Achievement Award in 2015 and is an elected member of the Retina Society and the Macula Society. He also serves as the Academic Program Director for the Vit-buckle Society Annual Meeting, and is a member of the AAO, ARVO, ASRS and FACS. Steinle, NC & Wykoff, CC 2018, Retina Today, vol. 2018, no. March, pp. 50-52.